Four rounds down in the 2018 Monster Energy Supercross series and plenty to talk about so far. 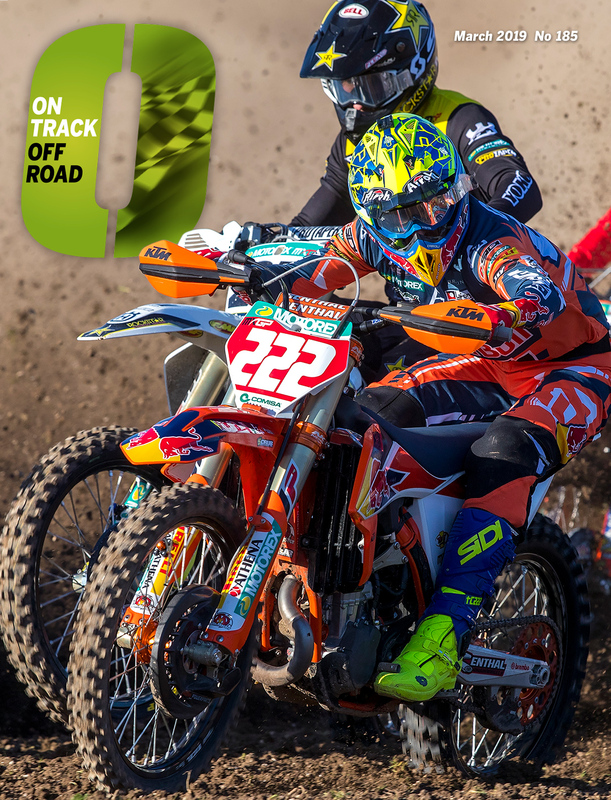 The two title favorites, Monster Energy Kawasaki’s Eli Tomac and Red Bull KTM’s Marvin Musquin both suffered injuries that caused them to miss a race and now both are trying to fight through that and still win this championship. If either one does it (and Tomac has already won two races in a row) it’ll be the greatest comeback in the sports history in terms of points deficit. And it’s not even close. Let’s take a micro-look at the series through the first four in terms of ups and downs; so far, there’s been plenty of that for plenty of racers. 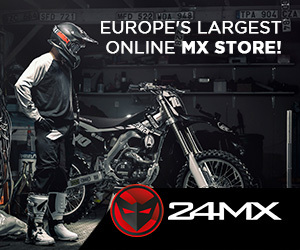 UP– Yamaha’s Justin Barcia, that’s what! The rider that was let go from JGR after a few years and nobody wanted is back and in a big way. 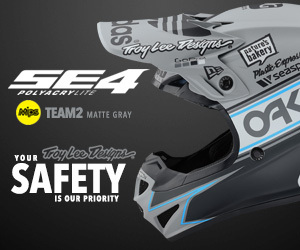 Picked up by the factory Blu Cru squad only after Davi Millsaps got hurt, Barcia’s original deal was for just six races. 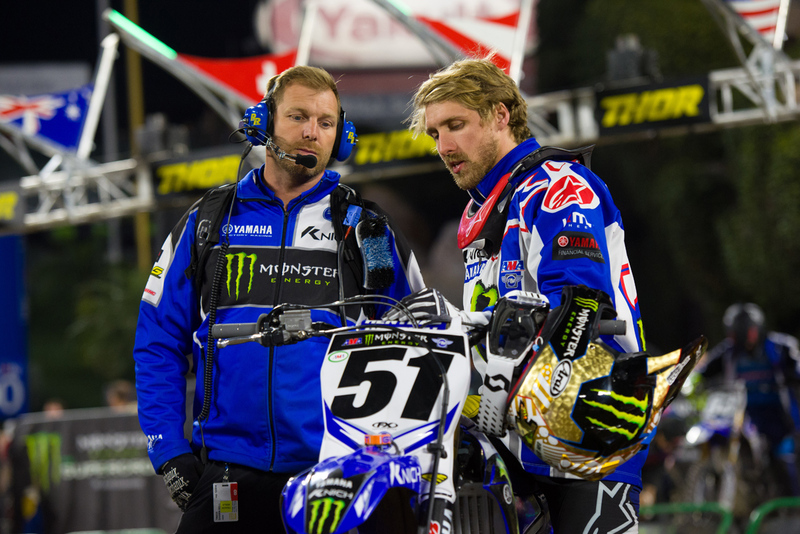 Well, scratch that all up because Barcia sits second in the points, just seven down with three podiums in four races. And all this on a bike he didn’t agree with at JGR, although to be fair there have been significant changes to the frame on the machine for 2018. Simply amazing and no one would’ve predicted this. Heck, he’s even talking to me now after two years of silence for something I said (I have no idea what). He’s a new man! If Barcia wins this year it’ll be a five-year gap from his last one to now. What a story he’s authoring. UP– Justin Brayton of the MCR Honda squad won a heat race this past weekend with a stacked field of riders named Barcia, Tomac and Ken Roczen all trying to chase him down. 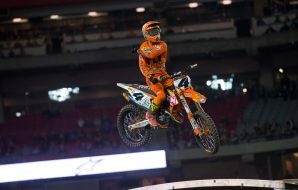 Yeah, it’s just a heat and yeah he got seventh in the main event but Brayton was on the podium in two of the three mains last week at the A2 Triple Crown and his bike is way-less trick than those around him. Brayton’s riding very well for the former rebel MCR team. 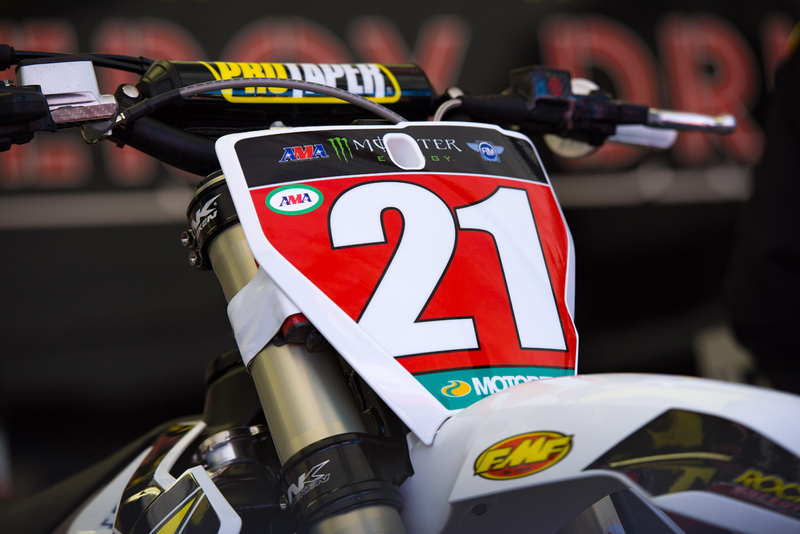 UP– Jason Anderson of the Rockstar Husqvarna team is leading the points through the first four rounds and it’s a new, calmed down #21 out there. He’s made mention a few times that he’s trying to emulate his old training buddy Ryan Dungey in that you take the results as they come. Anderson’s been less erratic and he’s not forcing anything. Known for some aggressive moves in the past, he’s letting the race come to him more than anything. As his trainer Aldon Baker told me ‘you cannot win championships by making enemies’ which Anderson has done in the past. He’s a new man and it’s showing. 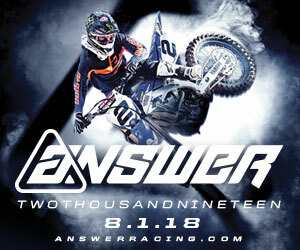 DOWN– Cooper Webb, Barcia’s teammate, came into the year with an ankle injury and just hasn’t been able to get it on track through the first four. 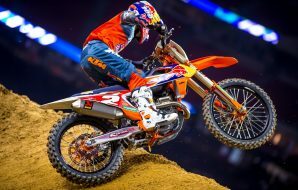 Last season we saw him really ride well at the softer tracks but in Houston, with the right dirt, he fell in the first turn and couldn’t get it going in qualifying either. So, we wait for the 2016 250MX and SX champion to get it together. It’s got to be tough to see a guy who got on the bike late to be killing it like he has (Barcia) as well as try to nurse a bit of an injury. It’s rare to see a double 250 champion like Webb struggle once they move to the big bike, so I’m in no way am I counting him out. 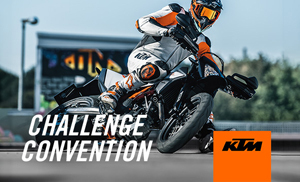 DOWN– Broc Tickle of the Red Bull KTM team was thought to take a big step up this year by sliding into the Aldon Baker program. Tickle was a lot like Zach Osborne in many ways and look at what Zacho did last year. Albeit in a weaker class. Well through four rounds, Tickle’s looked a like the old Tickle in terms of where he starts, how he rides and what goes on with him. It’s not a disaster at all but there hasn’t been “the leap” that we thought there would be either. UP AND DOWN– The tracks. A double mark for this because it’s our column dammit. But the two Anaheim tracks were easy, simple designs that offered little-to-no passing. 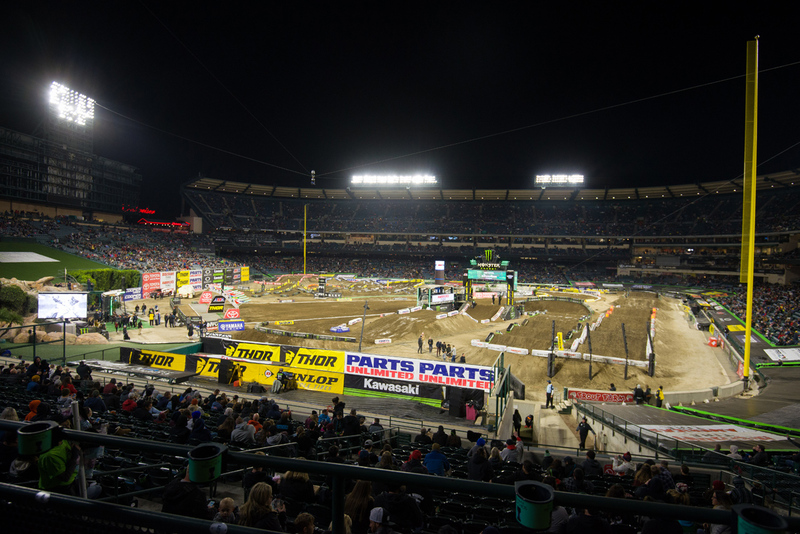 Ken Roczen called Anaheim 2 track “horrible” and he was right. On the other hand, Houston and Glendale were great. I don’t know; I’m as confused as anyone as to what we’re going to see when we arrive at the stadium. 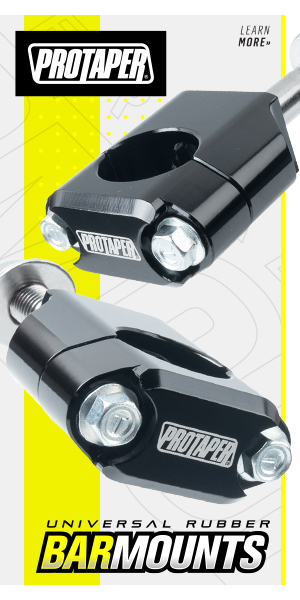 UP– The 250SX class has been very exciting with four different riders holding the red plate through the four races. 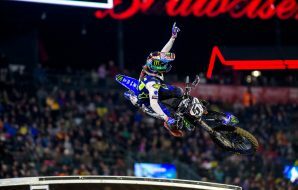 Star Yamaha’s Aaron Plessinger’s won two races while Monster Pro Circuit’s Joey Savatgy and TLD KTM’s Shane McElrath have one each. And then there’s Adam Cianciarulo who is the fastest rider on the track from lap to lap but can’t keep it together or get a good enough start to take a win. Very good racing and a long way from being over, that’s for sure. 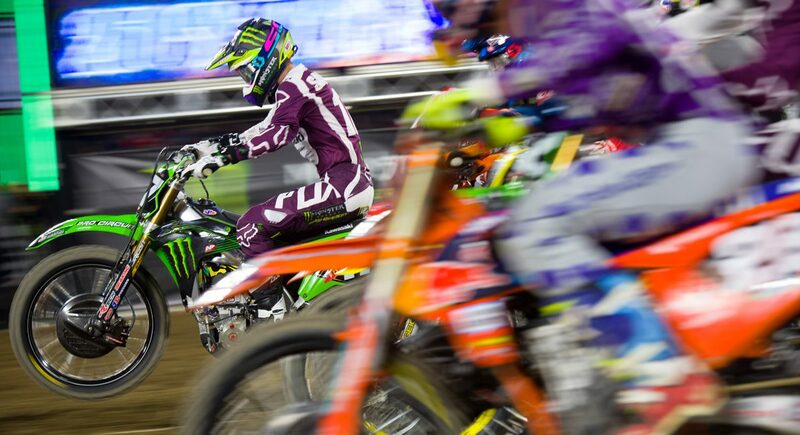 UP– The historic Triple Crown race took place at Anaheim 2 and it was a bit weird. Six main events (three in each class) and that was all she wrote. I think as far as the pits go it was universally met with a thumbs-up. It wasn’t perfect by any means, the program dragged a bit and the first set of mains were, in my opinion, too short to decide such an important race. But it had a lot of variations in terms of winners (five different ones in six mains), it had drama and it kept the racing close. I’m sure the powers that be will tighten things up a bit, maybe add a B main in there?- and work on the format but in my opinion, get used to this because there’s more of them coming, not less.